Provided are some of the Frequently Asked Questions regarding Camp Rainbow. Answers to many of the questions you might have can be found here. If you have a question you don’t see here, drop us a line at 204-989-5261 or education@rainbowstage.ca. Thank you. How do I register my child for the camp? To register, simply download the registration form from this website, print it off and fill out. Return your form with payment to Rainbow Stage by the 5 options indicated on the form. In response to feedback from campers, parents and staff from our first three years of camp, our aim is to have our final week of camp designed for children who are serious about performing arts and/or have a large amount of training/experience. The other five weeks of camp offer introductory level classes. For the All-Star week, we provide intermediate level classes. This week is only accessible by an application and video audition process and all are welcome to apply. Only selected applications will accepted to the All-Star week. How do I apply for an ‘All-Star’ Week? 2) Record a video (2min or less) showcasing your child’s singing, dancing and acting skills. Does my child need to bring their own lunch? Yes, we encourage you to send your child with a healthy lunch each day. A fridge will be available to keep food cool and fresh. Please no peanut products. Yes, we will have a small assortment of snacks and drinks available for purchase at the camp. There will be (6) staff at Camp Rainbow to supervise and work with the group of 30 campers each week. Staff will be comprised of (3) adult Rainbow Stage teaching artists, and (3) Rainbow stage affiliated teaching assistants (ages 16-22). Will there be a performance at the end of the week? On each Friday, we will end the week with a short program, a chance to meet the staff, and take pictures for great memories. The program will be from 3:00-3:30 and following a group photo opportunity, campers will be free to go. 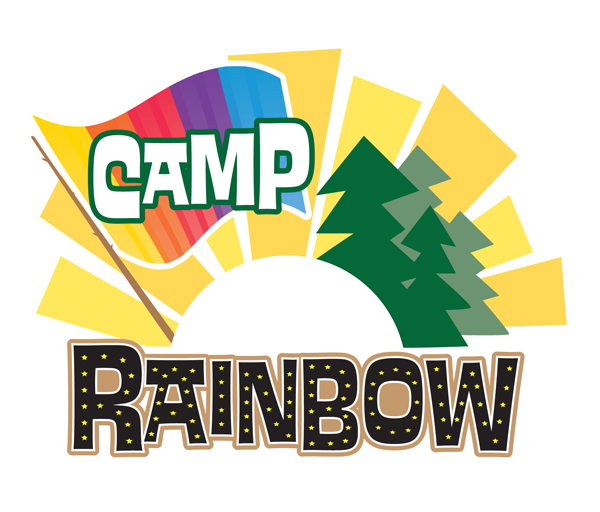 Camp Rainbow staff will hired and be announced in late spring. The camp will run 8:30-4:30, Monday – Friday. There will be an early drop off time at 8:00 and late pick up time of no later than 5:00. For each time your child is picked up after 5:00, there will be $10 charge to cover staff overtime costs. Is there a bus available for pick up and drop off? Camp Rainbow does not have its own bus. The drop off/sign-in location will be in front of the main entrance to the Rainbow Stage theatre in Kildonan Park. If you and your child will be using Winnipeg Transit, routes #18, #32, #38 #77 will get you to the main park entrance, but you will have to walk to the theatre from there (approx. 10 min). Is it only for children with performance experience? Children of all levels of experience are welcome to attend Camp Rainbow. Camp staff will provide professional training for the campers geared to all levels of ability, but they will also provide other non-theatre related activities such as field games, crafts, and swimming. Will the campers be separated by ages? For some singing, dancing and acting classes, staff will divide the group in two by age/experience. For other activities such as park games, lunch breaks and visiting Kildonan Park Pool the whole group will be together. Beginner to Intermediate. We have six staff to manage and teach a group of a maximum of 30 children. Please be sure to list your child’s experience in music, dance and theatre in the space provided on the registration form, in order to help us place them in a group that best suits their level of experience and ability. My child is a little younger/older can they be accepted into the camp? Will the days be structured or is it mostly free time? The days will be structured and the programming will be provided once it is available. Participants will receive a balanced amount of singing, dancing and acting training combined with summer park and camp type activities, games and fun. Will they be taking advantage of the pool in the park? Yes. We will visit Kildonan Park pool for an afternoon in the mid-week. You will be notified in advance regarding which day once our reservation has been confirmed. On that day your child will need to come to camp with their own bathing suit and towel. Where will the lessons be taking place? ie: in the theatre, or the park? Classes, lessons, games and activities will take place backstage at Rainbow Stage, in the diamond lounge, in the front of house and yes, outdoors in the park. If so, please email our Education Co-ordinator, Jeffrey Kohut at education@rainbowstage.ca. Have a question you don’t see here? Drop us a line at 204-989-5261 or education@rainbowstage.ca.